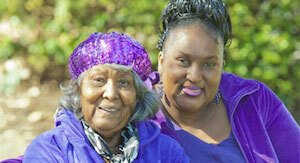 Willie Mae Washington was diagnosed with breast cancer nearly 40 years ago while in her early 50s. Willie Mae had few risk factors and her daughter, Ida, always wondered what caused her mother's illness, long since in remission. The Child Health and Development Studies (CHDS) is working with Ida, Willie Mae and 15,000 other women in a one-of-a-kind research program spanning three generations, to uncover potential environmental causes of breast cancer. Time is of the essence, please make a donation to support our work today.